Slam Locks | SoundSecure.co.uk Mobile car audio and Security, bluetooth handsfree kits, parking sensors in Surrey,Sussex and Kent. Another major advantage with mechanical slamlocks is total control. Electronic systems often have either global (all doors) or area (load or cab) unlocking- this leaves the unrequired doors vulnerable until the auto relock action operates. Slamlocks do not have this vulnerability. 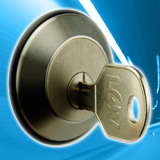 Slamlocks integrate with the vehicle manufacturers’ locking systems. 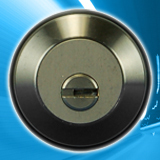 This provides Maximum Security along with straightforward installation. They combine a genuine Security Slam operation with a high visual deterrent and a pleasing appearance. All slamlock kits are designed with escape from locked load areas, via the manufacturers own internal exit mechanism in mind. This is an extremely important feature as it ensures compliance with Health & Safety at work and Corporate Manslaughter legislation.